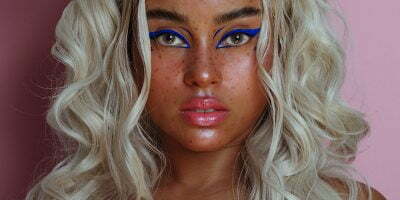 Ever wondered about matching your eye color with your hair color? Yeah, this sounds a funky concept. Being born with brown/black eyes and having the same hair color is too mainstream. How about turning your eyes to a lighter shade & getting your tresses dyed the same color? Don’t lying damaging your hair caused by hair treatments and dyeing? I. Fairy Miss Fluffy green circle lenses are an intelligent concoction of green, lime green & yellow pigments that give your eyes a lucid impact. 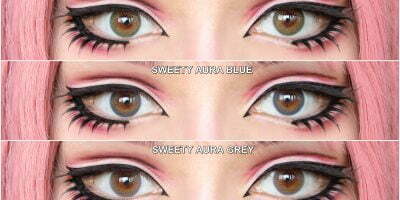 They accentuate lighter colored eyes & blend flawlessly with your original eye color. Create a cool look for summer using I. Fairy Miss Fluffy green & Inside Out Disgust wig. 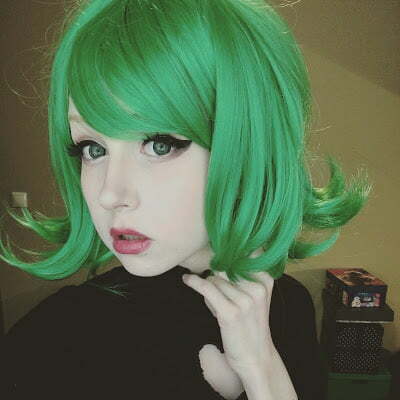 The wig boasts a strong solid grass green color and curls at the bottom that reach your shoulders. 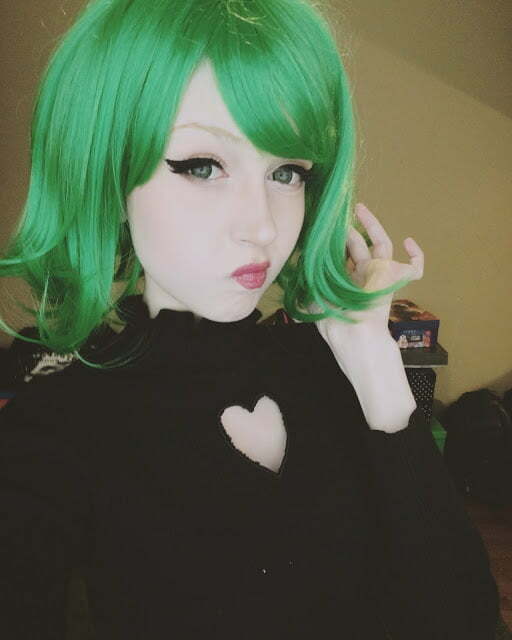 Personally I think this is suitable for Tatsumaki from One Punch Man, too. I am planning to cosplay her too in the future so this is getting two birds with one stone!